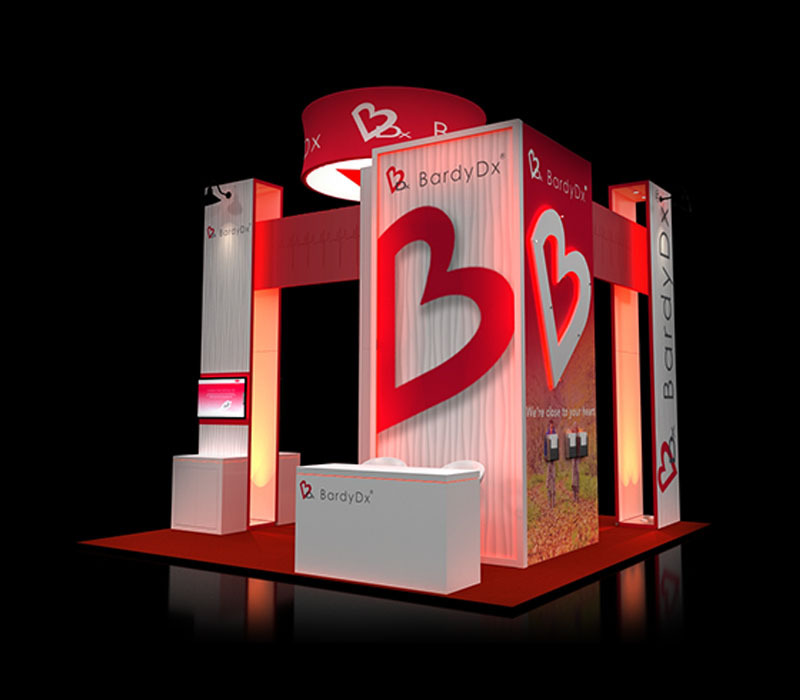 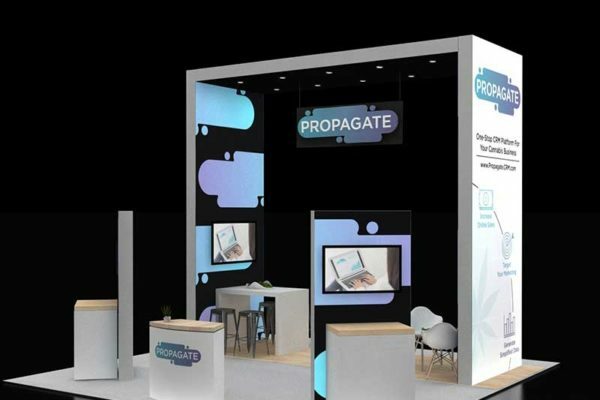 A great way to create additional attention to your booth is by adding towers and a hanging sign. 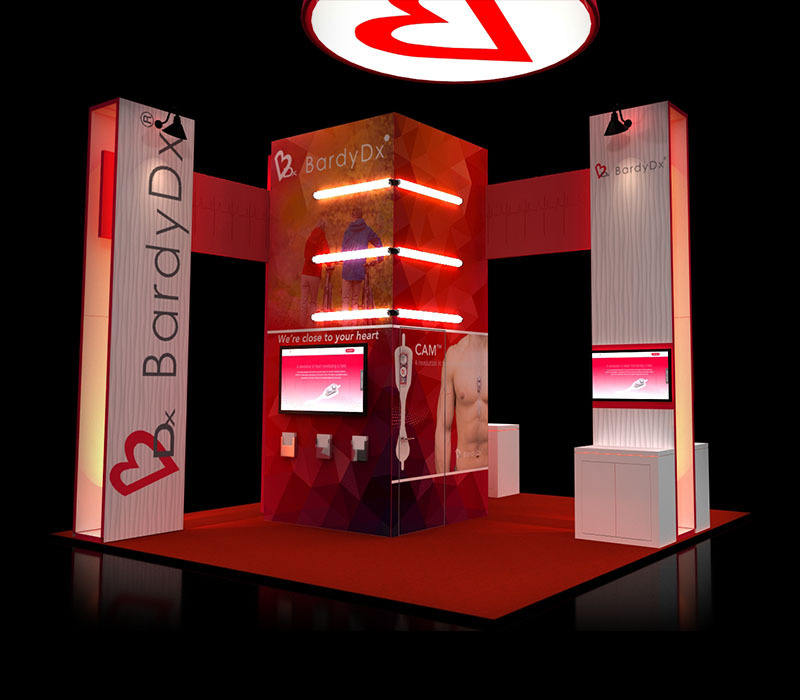 This healthcare trade show display has custom lighting like the gooseneck lights and LED light bars. 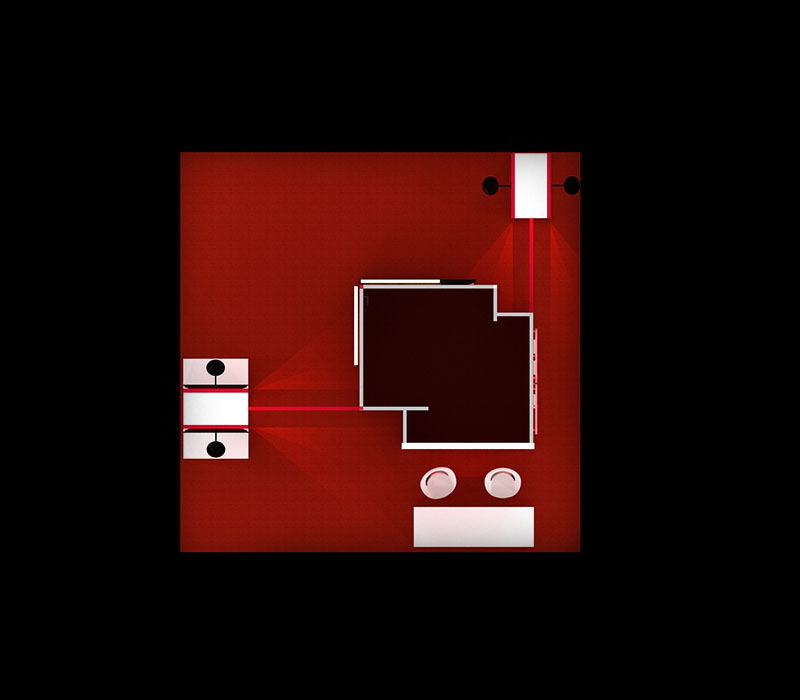 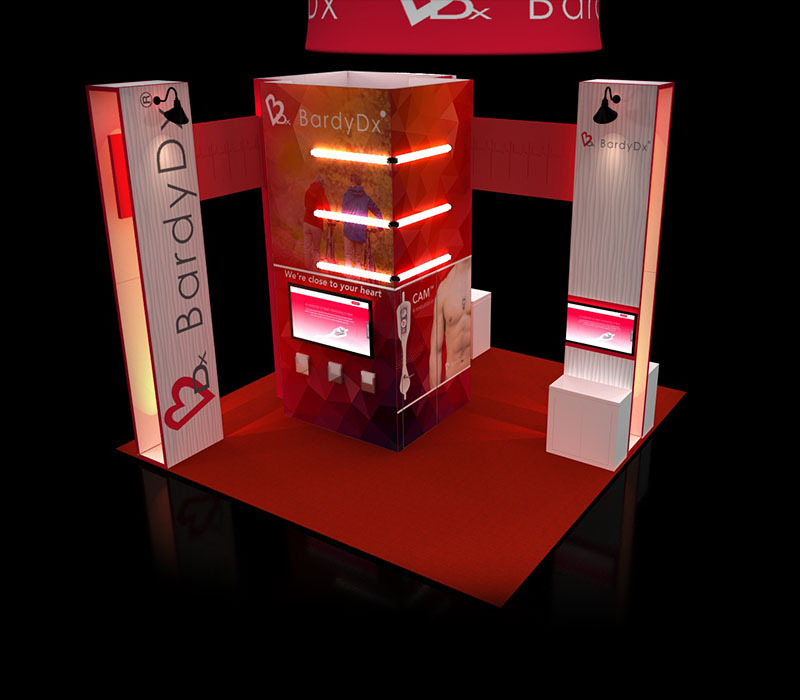 The vibrant colors and lighting will make this booth stand out on the trade show floor. 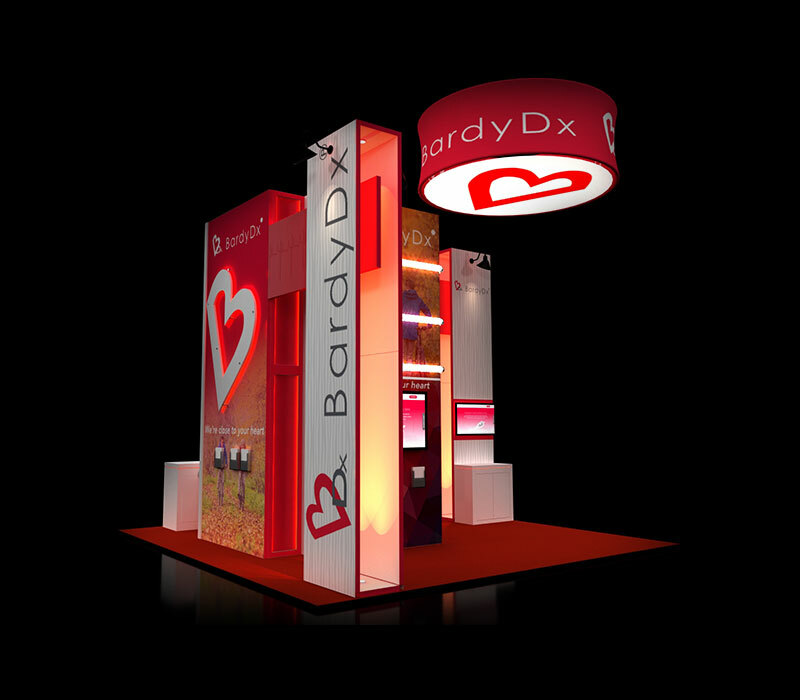 Other elements include unique fabric structures, LED lighting in the counters, 3D backlit logo, kiosk stations on towers, and puck lights on tower structure. 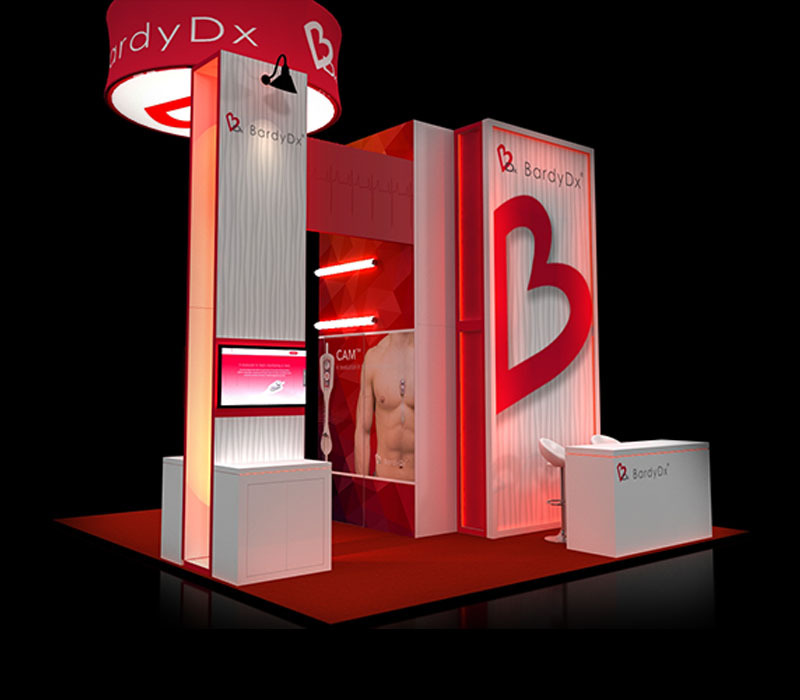 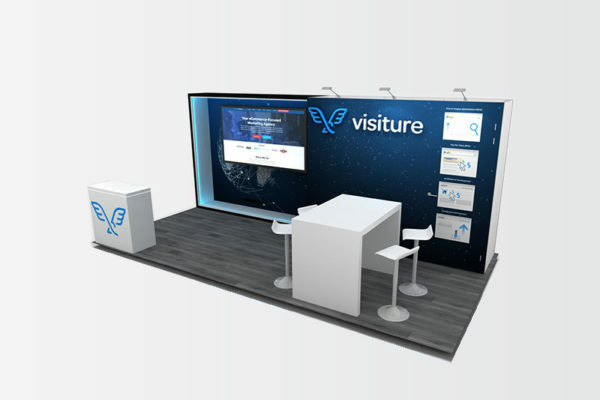 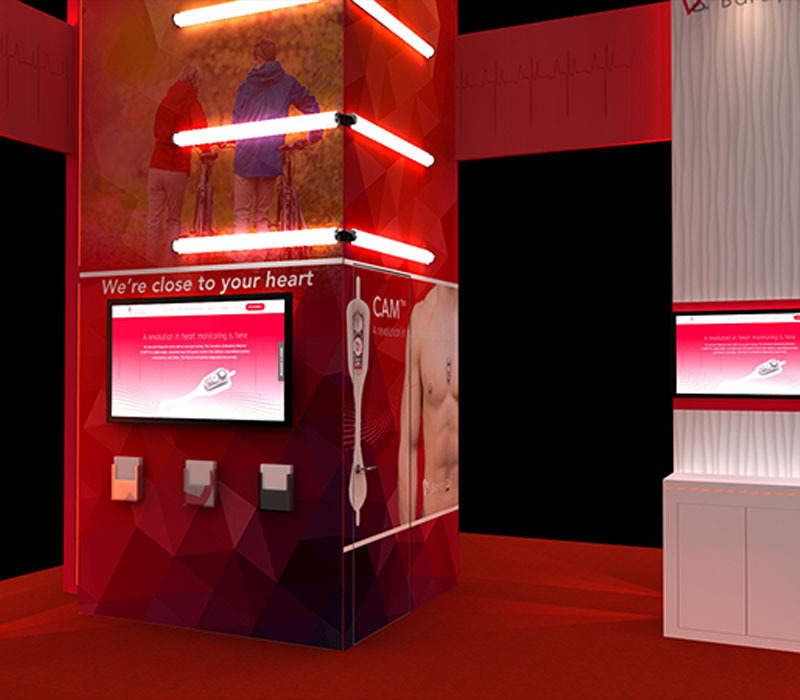 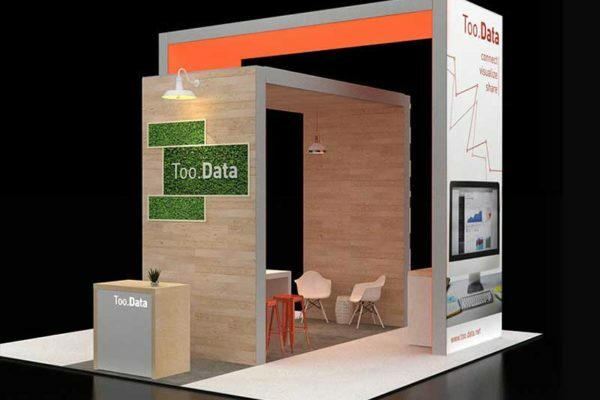 All features in this booth can be customized to fit your exhibiting needs!